The sixth season of Fortnite: Battle Royale will commence next Thursday, Sept. 27, Epic Games confirmed today. Season five has been rather tame in comparison to past outings, opting for a featureless traveling cube instead of loud events like a meteor crash or a rocket launch. But something big might still be on the horizon. This past Wednesday, Sept. 19, the cube finally made its way to Loot Lake and entered the water. It then began to sink or melt and eventually turned the lake into a big purple bouncy pad, swapping the water supply for trampoline. What happens next is anyone’s guess, but whatever does happen is sure to change the map, game, and meta for the upcoming season. 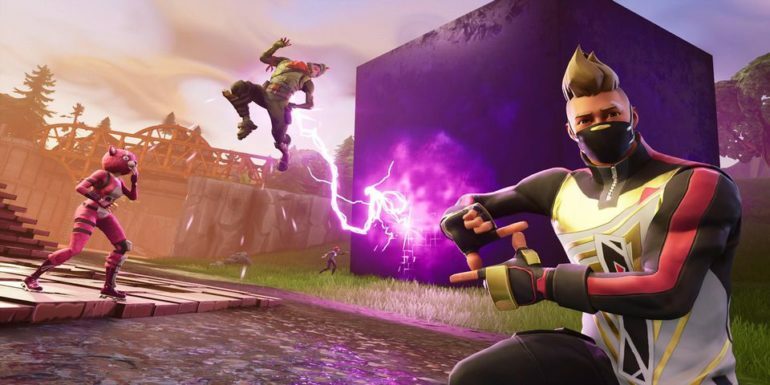 Season three changed it up with the meteor crash that altered much of the map, and season four began with the rocket launch that created rifts and eventually birthed the cube. To celebrate the end of season five, Epic is giving 400 percent match XP from not until Sept. 24 at 7am CT to help players finish ranking up their Battle Passes. Never fear, though—a new Battle Pass will surely arrive with the next season.